Ways to Feel Better and Be Well. A podcast about herbs and home remedies to heal yourself. All advice shall be considered suggestions. Please research all herbs before using and Discover ways to Feel Better and Be Well. You don't have to put up with this pain after you become aware of your headache triggers and now know ALL these herbal remedies you have easy access to. Plus food hacks. Plus aromatherapy, acupressure & reflexology. Yeah, rub those piggies. Dang! These headaches can hit the damn road! 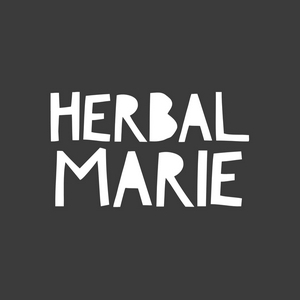 Feel Better and BE WELL xoxo become the herb https://www.herbalmarie.com/ Become a patron to show that you like this podcast PLUS you can read the You Can Heal Headache notes: https://www.patreon.com/herbalmarie Great reference to diy remedies & herbal medicine! You Can Let Go of Shiii... Crap.